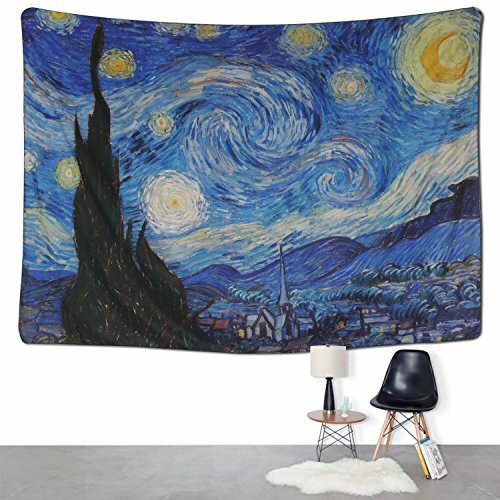 PREMIUM MATERIAL: Made from Environmental-Friendly polyster fiber, this mandala tapestry is soft and durable. Detailed sewing and creative design make it an essential element for your room decoration. OPTIONAL PURPOSES: Perfect for Wall Hangings, Dorm Decorations, Beach Throws, Picnic Blankets, Porch Hangings, Table Cloths, Bed Spreads, Sofa Covers or just Gift Selections. MINIMALIST DECORATION: With it's simple and modern design, it is a good decoration idea for the hall, dining room, bedroom, study, college dorm etc.